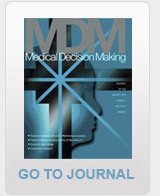 SMDM Members have access to course syllabi posted by other members. Members can also post their course syllabi to share with others. Course topics include: CEA, Clinical Decision Analysis, and Assessment of Medical Technology.